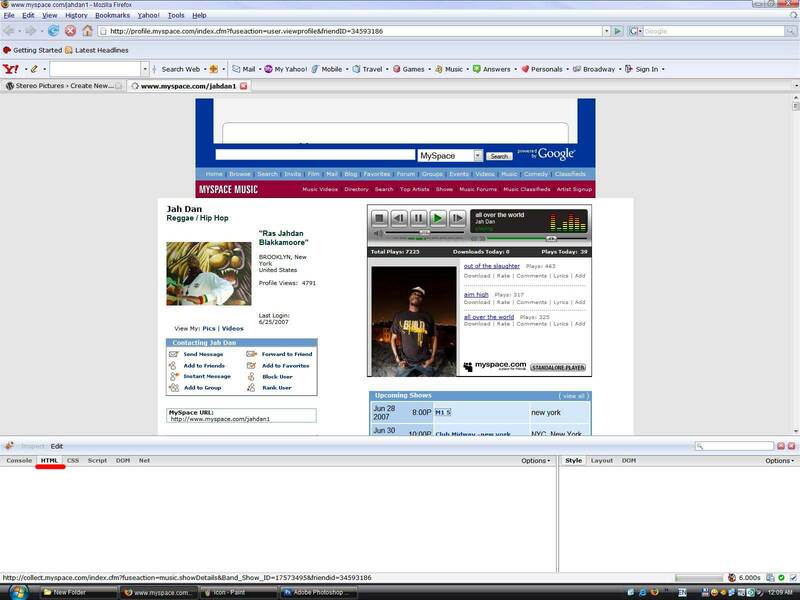 Did u ever hear a tune from ur fav artist on MySpace.com and u didn’t know how to download it? 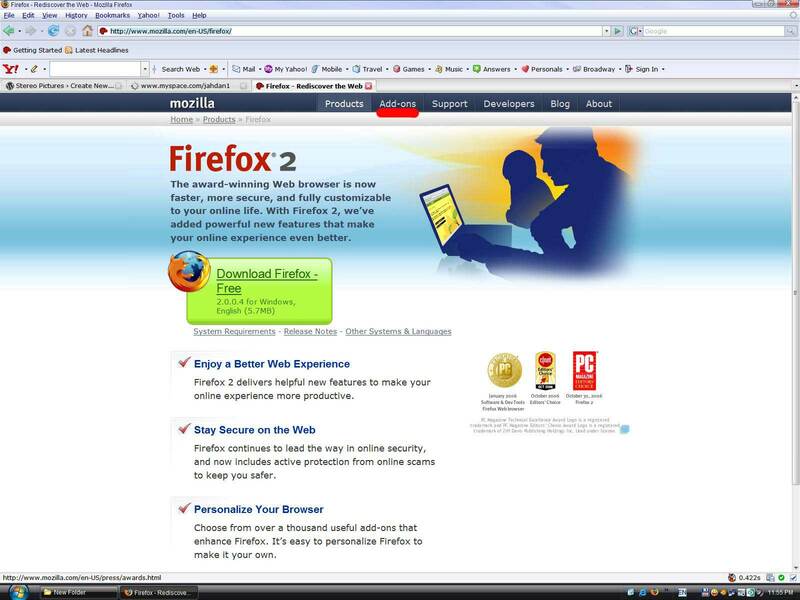 If u don’t already have firefox installed and ur using IE plz go to Mozilla and download the latest version of Firefox! 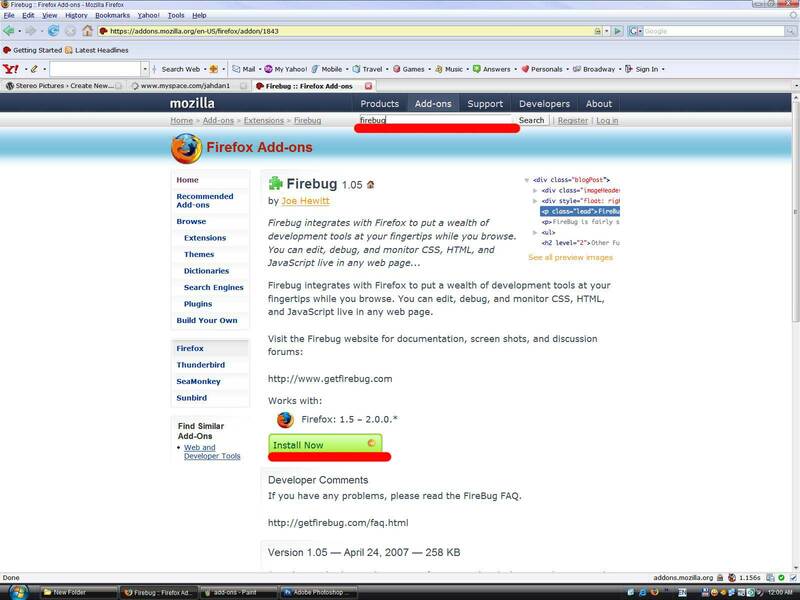 Then type on the searchbar FIREBUG !Install the add-on! To enable it double click on the icon and the meniu will show up! Now for the most interesting part! Browse to ur fav artist’s MySapce Page! 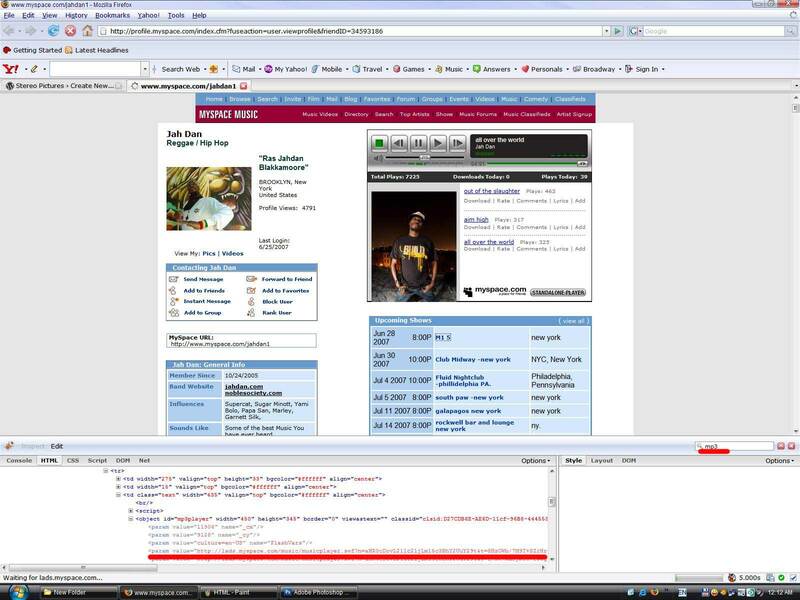 With ur firebug enabled click on the HTML tab! Now on the right side u have a search bar! In that search bar type mp3 and keep on pressing enter till u see something similar to what i have in the pic below! that adress will take u to a page only with the flash music player! Now u are almost done! all u have to do is click on the tune that u love and another adress in the NET tab will show up! U have to copy that adress and paste it into ur download manager (i suggest flashget) and ur done!